Nicely covers aircraft modifications with reference to tail numbers. The most helpful part of the entire book was the various discussions on Weapons Load outs. This is one area often neglected, but Peter Davis does a great job of covering the wide variety of weapons carried. The book does end rather abruptly with Air National Guard/Air Force Reserve operations covered very briefly at the end. I guess that that is another book on its own. Highly recommended for any Thud fans, or those with in interest in the great aircraft of the Cold War era. 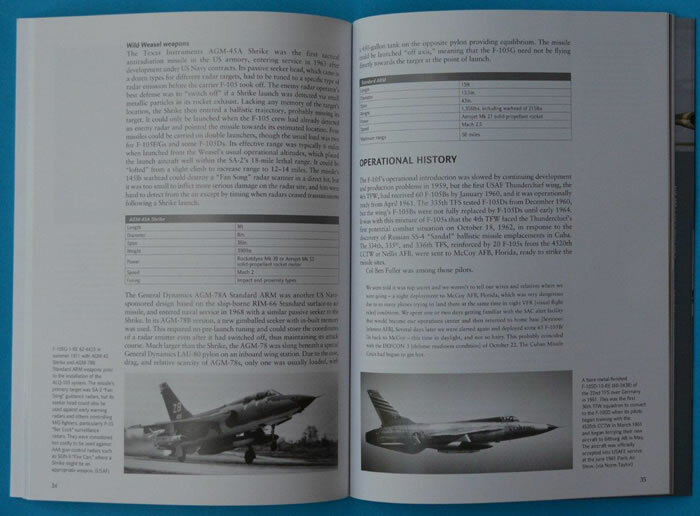 provides broad coverage of a particular aircraft. Each title covers design and development, variant development, an operational history, and plenty of attractive visual materials. One feature that is new is the fold-out back cover that features a colourful cutaway drawing. With only 64 pages the book is crammed with 37 Black and white images, 13 colour images, two pages of profiles, one three view image and lovely full page artwork by Adam Tooby. The writing style used in this book make it a very informative book that provides the right amount of technical information without getting bogged down. 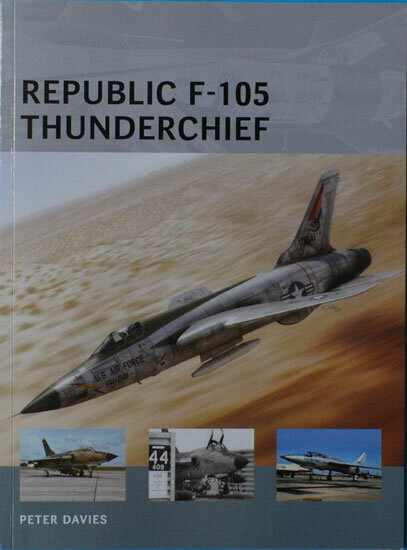 I felt by the end of reading the book that I could confidently launch into an Republic F-105 Thunderchief model kit and understand what I was looking at, and build it with the correct configuration for the period with a relevant weapon load out. The F-105 was the fastest and most successful strike fighter of the Cold War. With a low level nuclear attack role, the F-105 found itself deployed to a different style of conflict in South East Asia. The F-105 Thunderchief played a vital part in the USAF inventory, pioneering many tactics and procedures, like Wild Weasels, that are still in use in today’s Air Force. This was a thoroughly enjoyable read and will make a great reference tool for any fan of the F-105 Thunderchief.